Anabaptist groups along with the Quakers form what has been called the 'Historic Peace Churches'. This means that they are communities and groups that have held a long-term corporate commitment to nonviolence and a testimony against war. Today Anabaptist groups include The Mennonites, The Hutterites, The Amish, The Bruderhof and The Church of the Brethren. In the context of Post-Christendom, many people are exploring the contemporary relevance of the Anabaptist tradition. Those who remain within their own faith community but are strongly influenced by Anabaptism are sometimes called 'Neo-Anabaptists'. Today there are a number of British Quakers who would regard themselves as Neo-Anabaptists. The Anabaptist movement emerged in Northern Europe in 1520s, a period of significant social, political and religious turmoil linked to the mainstream Reformation (Luther, Zwingli & Calvin), a radical Reformation (Karlstadt, Muntzer & Schwenckfeld) and the Peasants’ War. The early Anabaptists were radical Christian groups who rebelled against the existing state-church alliance (Christendom). They rejected the idea that a Christian was one simply by birth and infant baptism; it required the voluntary choice of an adult believer. Many anticipated the imminent return of Christ and sought to re-establish the church along New Testament lines.They suffered very severe persecution at the hands of both Catholic and Protestant authorities (between 20 and 40 thousand Anabaptists were executed in the 16th and early 17th centuries). When considering the experience, belief and practice of the early Anabaptist and Quaker movements, a large number of important similarities can be observed. Both groups firmly rejected Christendom which involved the binding together of church and state/empire, the belief that a whole nation/empire could be ‘Christian’ and the assertion that the entire population of a state/empire were members of the church. Christendom was created when the Emperor Constantine made Christianity the official religion of the Roman Empire. Anabaptists and Quakers believed that Christendom fundamentally undermined and perverted the true nature of Christianity. 1. The Possibility of Regeneration – Both groups were strongly opposed to the doctrines of predestination and total depravity of human nature. They believed that although humans are inclined to disobedience and rebellion, sin is freely chosen rather than transmitted genetically. They asserted that God’s grace was a living power that could transforms sinners here and now and therefore that the believer could be regenerated (achieve actual righteousness) in this life rather than merely benefiting at second hand from Christ’s death on the cross (imputed righteousness). Crucially, both groups believed that Inward change would always be reflected outwardly in a transformed life. 2. The Power of the Holy Spirit – Both groups held a strong conviction that the Holy Spirit had the power to regenerate believers. They understood this as the birth of Christ within by baptism in the Spirit. Spiritual baptism was regarded as sufficient for salvation and so did not depend on any outward act or sign. Therefore in both movements there was a marked emphasis on direct experience of the presence of Christ working within people to transform them and not just on the death of the historical Jesus. 3. Crucifixion and Resurrection – Both groups understood regeneration in terms of a spiritual participation in the death and resurrection of Jesus. This was strongly influenced by the writings of the apostle Paul with his emphasis on dying with Christ and being raised with him in a new life. 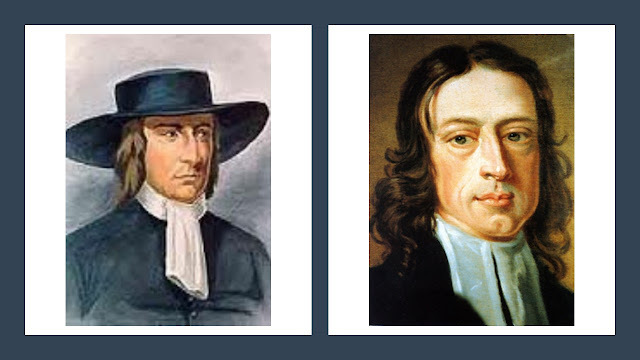 Both Anabaptists and Quakers emphasised the importance of dying to the old self so that the divine will might be born in each believer, an experience of the crucifixion of the old ‘fleshly’ self and the raising up of a new regenerated self. 1. Anti-Clerical and Anti-Sacramental - Both groups were strongly anti-clerical and anti-sacramental. Since they believed that the Holy Spirit was directly available to all, Anabaptists and Quakers did not recognise the need for set apart priests to give them access to God or to enable them to receive God’s grace through outward sacraments. 2. Membership of the Church – Both groups believed that an individual becomes a Christian by conscious choice based on convincement and transformation by the power of the Holy Spirit. As we have already seen they rejected the idea that people were Christian simply because they were born into a state or empire that called itself Christian. Anabaptists and Quakers expected the experience of repentance and regeneration to bind people into a disciplined community of believers under the headship of Christ. 3. Mutual Support and Discipline – Both groups were committed to a vision of church as the visible gathering of the saints in the world based on mutual aid and mutual discipline. This included following Jesus’ guidance found in chapter 18 of Matthew’s Gospel in which mutual and corporate admonishment and ‘the ban’ or ‘disownment’ was used as an aspect of community discipline. 4. Communal Discernment – Both groups recognised the importance of communal testing and discernment of God’s will within the gathered community. Anabaptists particularly valued congregational interpretation of scripture under the guidance of the Spirit and Quakers developed a decision-making method based in a practice of worship. In both cases Spirit-guided discernment was central to the practice of the whole community. 5. The Incarnational Body of Christ – Both Anabaptists and Quakers regarded the church as the body of Christ in the almost literal sense that Christ was the head and the members of his body were collectively called to continue his work of salvation and reconciliation in the world. This was a Christocentric and incarnational vision of the church in which there was to be real unity between the inner life and outer witness. 1. The Word and The Letter – Both groups made a clear distinction between the letter (to be read and preached) and the living Word (that leads to spiritual rebirth and regeneration). Anabaptists and Quakers believed that the letter of scripture functioned as a witness to Christ the true and living Word. 2. The Spirit Interprets the Scriptures – Both groups emphasised the essential role of the Holy Spirit in interpreting the scriptures. Without the Spirit the Bible was just a dead letter. 3. Immersion in the Biblical Narrative – Both groups immersed themselves in the biblical narrative. Anabaptists and Quakers were sufficiently grounded in the scriptures that they could enter into the life of the Bible on a daily basis. In addition, their writings often consisted of a patchwork quilt of biblical references stitched together. 4. A Christocentric Approach – Both groups place the person of Jesus Christ at the centre of their reading of the scriptures. They gave priority to the example and teachings of Jesus and read many aspects of the Hebrew Scriptures as ‘types and shadows’ of Christ the spiritual substance. 5. A Test of Correct Practice – Both groups used the Bible and in particular the example and teachings of Jesus as a test of correct practice. For example, Anabaptists and Quakers rejected the practice of infant baptism and argued that such a practice did not feature in the New Testament. 1. Both Catholic and Protestant – Both groups combined a commitment to the restoration of the apostolic church (and therefore to more rigorous reform than the mainstream reformers) and the spiritual ideals of monasticism, mysticism and late medieval piety (which the mainstream reformers rejected as too ‘Catholic’). 2. Baptism of the Spirit – Both groups gave absolute priority to baptism in the Spirit and regarded this as a pre-requisite for all other aspects of the faith and practice of the true Christian and the true church. 3. Yielding to the Will of God (Galassenheit) – The spirituality of both groups emphasised the denial of self and the achievement of a state of yieldedness or abandonment to the will of God. For Anabaptists and Quakers the spiritual practice focused on the removal of all barriers between the believer and God (a process of self-emptying to create the space for divine indwelling). 4. Flesh and Spirit Distinction – Both groups maintained a strong distinction between the flesh and the spiritual (or the first birth and the new birth). Using the imagery of the apostle Paul, the Anabaptists and the Quakers argued for the need to renounce the flesh and to turn instead to the spirit. 5. Contemplative and Prophetic – Both groups asserted the inextricable bond between inward truth and outward witness, faith and practice, word and deed. Inward transformation and regeneration would always be reflected in a transformed life in the world. In this sense Anabaptist and Quaker spirituality was both contemplative and prophetic. 6. A Spirituality of Suffering – Both groups expected that baptism and regeneration would lead to conflict with and suffering at the hands of an as yet unregenerated world. Anabaptists and Quakers did experience very severe persecution and suffering. They regarded this as a sign of their unity with Christ and as confirmation that they were indeed the restoration of the true church. 7. Spontaneous and Emotional Worship – Both groups rejected rigid liturgy and priest-led ceremony and gave priority instead to multi-voiced worship based on spontaneity (e.g. extemporaneous prayer) and an emotional response to the working of the Holy Spirit within their community and their lives. 1. Rejection of Violence and Warfare – Both groups maintained a strong commitment to nonviolence in which weapons are rejected and enemies shown love. This was regarded as the fruit of Christ’s Spirit being born within the believer. 3. Equality Before God – Both groups believed in the equality of all people before God. Anabaptists and Quakers proclaimed that God was no respecter of persons and emphasised the importance of humility and the denial of self. Those who asserted their social ‘superiority’ were guilty of pride. 4. ‘A New Monkery’? - Opponents accused both groups of representing a new form of ‘monkery’ or ’monkish holiness’ due to their belief in genuine spiritual transformation and regeneration in this life. In many ways Anabaptists and Quakers were uncloistered monastics living within the world but not of the world. 1. The World-Kingdom Distinction – Both groups maintained a sharp distinction between the fallen and evil world and the coming Kingdom of God. Anabaptists and Quakers felt that they could participate in the Kingdom of God even in this world as a foretaste of what would eventually come to be for the whole world. 2. Who is Really Lord and King? – For both groups the ultimate question was, who is really Lord and King – Caesar or Christ? Anabaptists and Quakers were steadfast in their determination to proclamation Christ as Lord and King even when this brought them into conflict with those in power and caused them great suffering. 3. Limited Role of the State – Both groups recognised the legitimate role of the state in maintaining social order and controlling evil. However, Anabaptists and Quakers did not believe that political authorities had any right to interfere on matters of faith and conscience. 4. The Kingdom Here and Now – Because both claimed to have experienced real regeneration, they believed that it was possible to live to some extent within the Kingdom of God here and now. Hence, there is an element of realised eschatology in the theology of Anabaptists and Quakers. Despite the wide range of similarities in the experience, belief and practice of the early Anabaptist and Quaker movements, a number of important differences do exist. In some cases however these differences are a matter of emphasis rather than fundamental disagreement. A. Religious Authority – Spirit or Letter? 1. Anabaptists - have tended to regard the Bible as the final authority in matters of belief and practice while at the same time recognising the power of the Holy Spirit to regenerate the individual and sustain the gathered community. 2. Quakers - have given priority to discerning the leadings of the Spirit of Christ within the community while at the same time using scripture when defending key aspects of witness (such as rejecting infant baptism and not swearing oaths. At root, this difference appears to be a matter of emphasis rather than fundamental disagreement. 1. Anabaptists – despite giving priority to the inward regenerating work of the Spirit within the believer, were committed to water baptism of adult believers as a public witness to regeneration, an outward memorial Lord’s Supper and foot washing. They argued that ‘external witnesses’ (the ordinances) were indissolubly linked to inner realities and important for community cohesion and public witness. 2. Quakers - believed that both baptism and the Lord’s Supper were inward and spiritual experiences (being baptised in the Holy Spirit and feeding on the bread of life) and that the outward symbol was both unnecessary and potentially harmful if it distracted attention from the inward work of the Spirit of Christ. They argued that since inward regeneration was sufficient, there was no need for outward ceremonies. The most important external witness was instead the life of the community and the individual believer in the world. The key difference focuses on how the inward experience of Christ’s regenerating Spirit should be expressed outwardly. For Anabaptists the outward ordinances play a vital role in linking, making visible and strengthening the inner and outer realities that make up the church. For Quaker this is regarded as unnecessary and a return to the outward practices of the old covenant. Although both groups rejected complex liturgy and ceremony in favour of a simpler and more spontaneous form of worship, there were important differences of practice. 1. Anabaptists - The reading and interpretation of the scriptures and communal singing was at the centre of Anabaptist worship. 2. Quakers - the centre of worship for Quakers was expectant waiting on the Spirit of Christ for guidance and transformation. Singing was less important in Quaker worship although ‘singing in the Spirit’ was a practiced. Both groups were suspicious of creedal formulations of faith. However, Anabaptists were generally more willing than Quakers to indicate their adherence to the ecumenical creeds (the Apostles Creed and the Nicene Creed). 1. Anabaptists - have tended to maintain a stronger emphasis on the provisional nature of possessions and property and have given greater emphasis to holding things in common. They were deeply suspicious of retailing, ‘merchandising’ and banking. 2. Quakers – were more concerned about poverty and the dangers of concentrated wealth. They tended to be small scale farmers and traders and so were not opposed to private property. They held a more ‘distributionist’ approach to the ownership of land and other assets, believing that ownership should be spread as widely as possible. Although both groups gave a prominent place to suffering and martyrdom in the life of the true Christian, Anabaptists gave a much stronger emphasis to martyrdom than Quakers. This reflected differences in the scale and severity of persecution in the 16th and 17th centuries. Both groups were wary of the corruptions of the world. However, Anabaptists tended to reject involvement in government as a matter of principle whereas Quakers took a more positive view about the possibility of achieving positive change by political means. While both groups link the fall of the church with the ‘Christendom shift’, Quakers tended to identify a much early date for ‘the apostasy’. For early Friends, the church began to fall at the end of the 1st century when Christians began to pay more attention to what the apostles had said about Christ than to the living Spirit of Christ dwelling within the midst of his people. Writing as if from the conflictingstories blog is that is not yet published I’m particularly interested in C3 about handling conflict among Mennonites. And particularly interested that you say that point four in the Matthew 18 15-20 process, behaving with your opponent as if they were a tax collector or a gentile, has been interpreted by Mennonites as justifying banning or disowment. This may have been the case historically, or even still in some parts of the varied Mennonite ‘mosaic’ now, but my first encounter with a Mennonite view of this was in Chapter 9 of John Paul Lederach’s Journey toward Reconciliation. Here he points out that what Jesus actually did was speak friendlily to gentiles and sit down and eat with taxcollectors. So if we are trying to follow Jesus, but living with conflict with someone in an ongoing and possibly unresolvable disagreement, then nevertheless we should sit down with them and eat and be friendly. The chapters on conflict in the church in this book have given me abiding satisfaction throughout the 15 years when I’ve been studying this subject. I’ve just got it out again and re-found stuff I immediately want to share – perhaps I’ll eventually get round to doing that on the livingwithconflict.net website. I understand that John Paul Lederach is coming to speak at a public conference at Bradford University at the beginning of May. As soon as I get full details I’ll post them on the events list on the website. Thank you Susan that is very helpful. I suppose in the ancient world and in the 16th and 17th centuries, treating someone as a tax collector or as a gentile was very different from the way empire/the world treated outsiders/enemies in the final resort (i.e. often torture and execution). I think it is also right to point to the way that Jesus treated tax collectors and Samaritan (both of whom were despised within the culture of the time. Stuart. A very helpful and informative article Stuart. I, like Susan. was going to point out that the word 'ban' is nowhere used in Matthew 18, and that how Jesus treated tax collectors, sinners and Gentiles was to talk with them, eat with them and proclaim the Kingdom to them. I have been saying this for years and am thrilled to find someone else is saying it too! After all, the logical conclusion, if a member of your fellowship is not behaving like a Christian, is that they are not, in fact, a Christian. They therefore need evangelizing, not banning! Thanks Veronica! I think that it's worth noting that the practice of 'disownment' in Quaker community did not usually go as far as 'shunning'. Disowned Friends were still able to attend worship (which was public) and would not have been ignored. What a disowned Friend could not do is take part in corporate discernment or represent the Society publicly. The desire was always for reconciliation (e.g. a Friend disowned for irresponsible financial/business dealings could be readmitted if those matters were put into good order and the individual accepted their error before the gathered community). Thanks for this Stuart. Having grown up near Anabaptists and then attended courses at the London Mennonite Centre I was aware of many similarities, but it was good to have such a thorough explanation. Thanks Wendrie! It is sad that the London Mennonite Centre has gone but we are now seeing greater Mennonite/Anabaptist Network activity in other areas of the country including just over the road from Woodbrooke. The two groups were closer at the beginning of each movement but the links remain in a number of ways, especially in terms of peace witness.